There is nothing worse than buying something and feeling like you have paid too much. Or finding out you could have saved more money if you had only done things a little differently. This is how I just about threw away an extra $100 this past week. 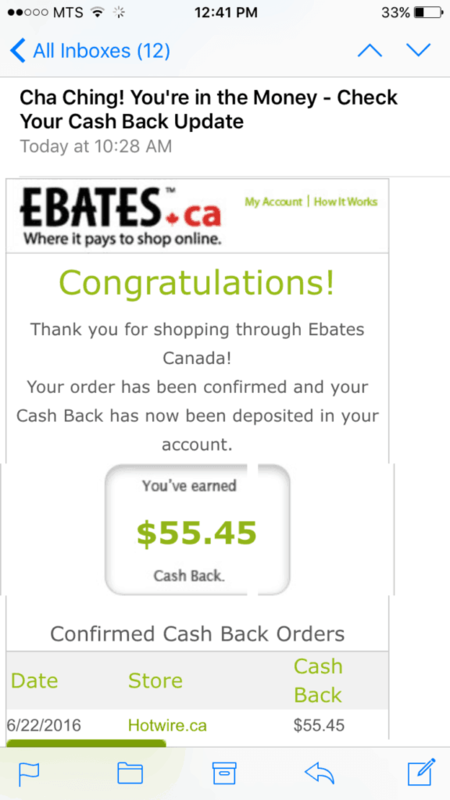 This is the beauty of Ebates, using it is a great way to get cash back for free. 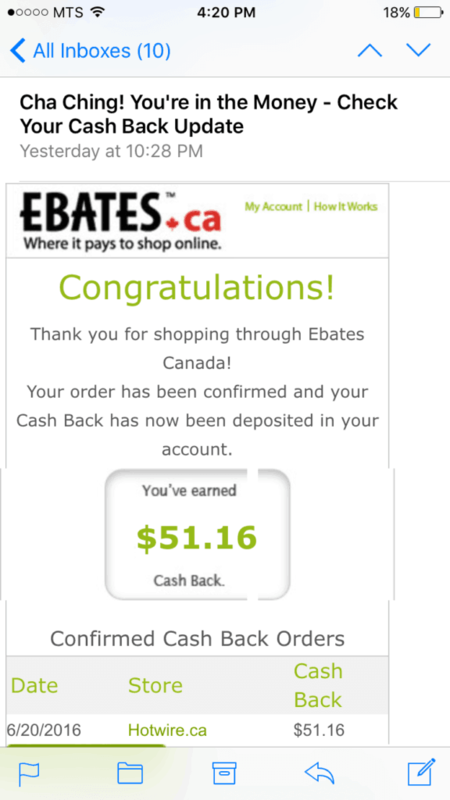 Here is a quick Ebates Review. We are getting set to leave on our road trip. I can’t wait! Rocky Mountains here we come! Whenever we travel I like to use Hotwire to book our hotels. You get premium hotels at heavily discounted prices. The first time we got the Sheraton in downtown Montreal for 75% off of what it would have been had we booked it through Expedia. From that moment on I was a fan. 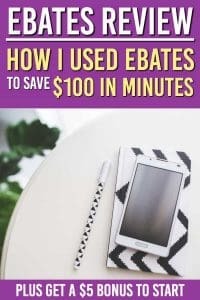 Recently, in an attempt to save more and more money I stumbled upon Ebates. It’s something that I have heard of in the past but never really understood. 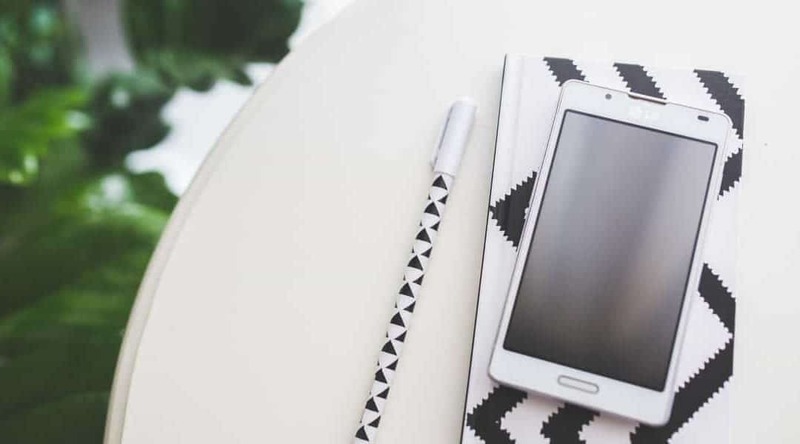 Ebates is an online shopping portal where if you shop at certain stores through their app (think Nike, Hotels.com, Amazon and hundreds of other online stores) you get a rebate on the amount that you spend. This rebate can be anywhere from 1% to 10% or beyond depending on the site. Except it was new to me. I’m all for trying new things, but I’m always a little hesitant at first. I didn’t really know anyone who had used Ebates at the time, so as the self appointed “Crash Test Dummy of Personal Finance” I decided to give it a try. To make sure it was safe, I went through the Hotwire app on my phone and checked out the price of a hotel. Then I went on my computer and checked if it was the same price using Ebates. Nothing fishy going on. All good. It was at this point on the Ebates portal, Hotwire had a special where you could save up to 10% on your hotel booking. I found the hotel deal I wanted and then went to Ebates to click through to Hotwire. The same hotel was there for the same price. GREAT! So it’s a legitimate savings. Worst case is I book the same hotel at the same price and I get no discount. So I booked the hotel using the Ebates site (which is just a browser that looks identical to your normal web browser) and an hour later I got this email. And that’s how Ebates won my heart… wallet. The next day I jumped back on and book another hotel for a few more nights since there is a sweet discount. A few hours later another email. Friends, that’s $106 I was about to give away that I didn’t have to. I saved enough cash to cover a good part of the gas on our 14 hour drive. That’s huge!!!! Yes Ebates is 100% they only make money when you save money through their portal. Ebates makes money by splitting the savings with you. If you use their portal they will get a portion back from the online store, in my case Hotwire. They get 1% back and give me the other 1%. They split the saving with you 50/50. The point is that you get more money than you would have if you had just bought it online. Every quarter Ebates issues a check and mails it to you. All you have to do is cash it. It’s pretty simple really. Just like all good money saving ideas should be. If you are wanting to get started using Ebates you can use this code here to get a free $5 just for signing up. Going forward any shopping I do I will be checking Ebates first. That’s a $100 I almost threw away. 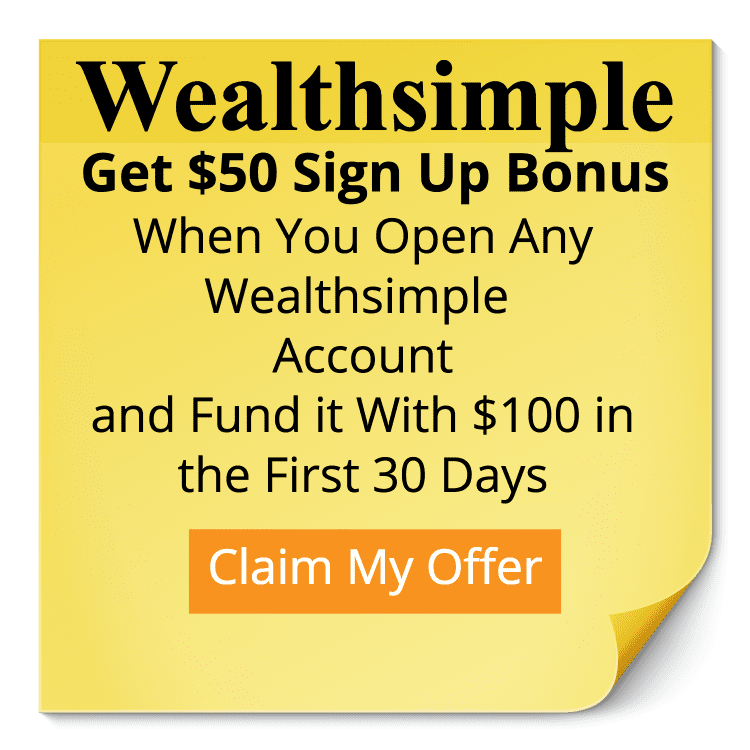 To get started with Ebates and get $5 you can sign up using this link here. We love eBates. It is nice to get a little extra back that doesn’t interfere with us using coupons or other discounts. We don’t use it a lot since we do a lot of our purchasing through Amazon which doesn’t always have rebates on the items we buy, but it is still nice when we do buy from somewhere else! I agree. I’m loving Ebates. To have saved an extra $100 was huge. I’m looking forward to using it on other purchases, especially hotels, in the future. We try to use eBates as often as possible. It’s great receiving those checks in the mail for making purchases you were going to make no matter what. Similar to Thias, unfortunately we make most our online purchases through Amazon which doesn’t offer much, if any, rebate. It is unfortunate about Amazon. Lately we haven’t been getting too much from them so it’s not that bad. If I could find a way to get more $$ back on groceries. That would be sweet. Getting money back is always a euphoric feeling. I haven’t done much with Ebates at this time, but I want to expand my use of the platform. In terms of saving money on groceries, my local grocery store provides an app which features personalized savings offers. I’ve managed to save about $230 thus far this year. I’ve also started using Ibotta recently.